Permanence of protection from conversion of natural land cover to unnatural land cover such as human-induced barren, arrested succession, or cultivated exotic-dominated landscapes). Amount of the tract protected, with a 5% allowance for intensive human use. Inclusiveness of the protection, i.e., is protection focused on a single feature such as a wetland or particular species or does it encompass all biota and habitat. 1980 ICUN World Conservation Strategy; The World Conservation Strategy was formulated by the International Union for the Conservation of Nature and Natural Resources (IUCN) in cooperation with the U.N. Environmental Program (UNEP) and World Wildlife Fund (WWF), FAO and UNESCO. IUCN The IUCN is an accredited UN advisor and is comprised of government agencies and NGOs (non-governmental organizations). These include the EPA, US Forest Service, US National Park Service, US Fish and Wildlife Service, The Sierra Club, National Wildlife Federation, Natural Resources Defense Council, The Nature Conservancy, Society for Conservation Biology, and many others. Chapter 4. Conserving the Earth's vitality and diversity Action 4.1. Adopt a precautionary approach to pollution. Action 4.2. Cut emissions of sulphur dioxide, nitrogen oxides, carbon monoxide, and hydrocarbons. Action 4.3. Reduce greenhouse gas emissions. Action 4.4. Prepare for climate change. Action 4.5. Adopt an integrated approach to land and water management, using the drainage basin as the unit of management. Action 4.6. Maintain as much as possible of each country's natural and modified ecosystems. Action 4.7. Take the pressure off natural and modified ecosystems by protecting the best farmland and managing it in ecologically sound ways. Action 4.8. Halt net deforestation, protect large areas of old-growth forest, and maintain a permanent estate of modified forest. Action 4.9. Complete and maintain a comprehensive system of protected areas. Action 4.10. Improve conservation of wild plants and animals. Action 4.11. Improve knowledge and understanding of species and ecosystems. Action 4.12. Use a combination of in situ and ex situ conservation to maintain species and genetic resources. Action 4.13. Harvest wild resources sustainably. Action 4.14. Support management of wild renewable resources by local communities; and increase incentives to conserve biological diversity. United Nations Johannesburg Summit 2002 (Rio+10) "What we need," Desai said, "is to build a system, a set of rules, or an environment, that will enable globalization to become a more positive force for improving all people's lives." This new environment, he cautioned, must involve greater international cooperation, particularly in the areas of finance, technology transfer, debt relief and trade, and equity." GAGs (Green Advocacy Groups) "Going for the Green"
The Wildlands Project ; Core reserves are wilderness areas that supposedly allow biodiversity to flourish. "It is estimated," claims Noss, "that large carnivores and ungulates require reserves on the scale of 2.5 to 25 million acres. ...For a minimum viable population of 1000 (large mammals), the figures would be 242 million acres for grizzly bears, 200 million acres for wolverines, and 100 million acres for wolves. 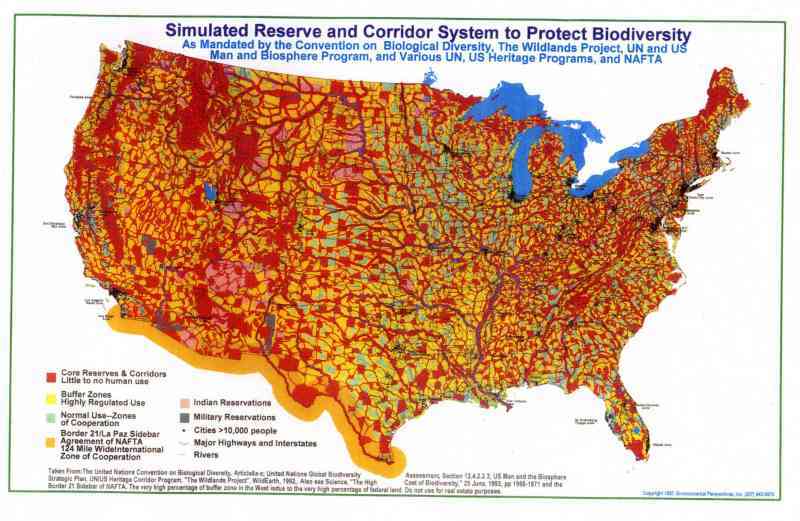 Core reserves should be managed as roadless areas (wilderness). All roads should be permanently closed." Noss: selecting focus species (1) identify and protect populations of rare and endangered species; (2) maintain healthy populations of species that play critical roles in their ecosystems (keystone species) or that have pragmatic value as "umbrellas" (species that require large wild areas to survive, and thus if protected will bring many species along with them) or "flagships" (charismatic species that serve as popular symbols for conservation); (3) protect high-quality examples of all natural communities; and (4) identify and manage greater ecosystems or landscapes for both biodiversity conservation and sustainable human use. Ecosystem management - (Clinton Administration) Vice President Al Gore called for the federal government to adopt an approach for ensuring sustainable economic development while also sustaining the environment through ecosystem management. To carry out the environmental mandate of the National Performance Review, in August 1993 the White House Office of Environmental Policy (OEP) took the lead for the federal initiative on ecosystem management by establishing the Interagency Ecosystem Management Task Force (IEMTF) to carry out Vice President Gore's mandate. iI January, 1996, the White House executed a Memorandum of Understanding to Foster the Ecosystem Approach (OEP 1996) that was signed by the 14 federal agencies that had participated in the interagency task force on ecosystem management. [Al Gore, Improving Environmental Management, Accompanying Report of the National Performance Review (Washington: Government Printing Office, September 1993), p. 11. (IEMTF) "The President should issue a directive that: establishes a national policy to encourage sustainable economic development and ensure sustainable ecosystems through ecosystem management;"
President's National Science and Technology Council (NSTC 1995) established an Ecosystem Working Group The NTSC concluded (1) that pursuit of improved quality of life often threatens the sustainability of ecosystems, (2) continued decreases in productivity and vitality of ecosystems which can result in increased deterioration of ecosystems that are incompletely understood, (3) the basis for human development has been the availability of healthy natural ecosystems and the resources they provide, and (4) that to sustain further human development, the ecological base to support it must be sustained. When Congress refused to pass legislation to establish the National Biological Service in 1993, DOI Secretary Babbitt unilaterally created it and shifted funding to it. 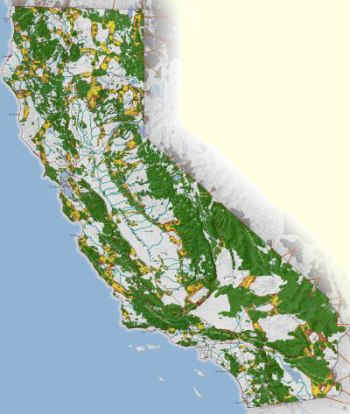 USFSAll Lands [Management] platform; USFS proposed Forest Planning Rule; Draft All-Lands Approach for the Proposed Forest Service Planning Rule ; Western Forestry Leadership Coalition Strategic Plan 2011; Private Forests Public Benefits; Cooperating Across Bopundaries; Partnership to conserve open space across rural America; Four Threats to the Health of the Nation's Forests and Grasslands; Threats to At-Risk Species in America’s Private Forests; Open Space Conservation Strategy; Sustaining America's Urban Trees and Forests: Forest-land conversion, ecosystem services, and economic issues for policy: a review; A sensitivity analysis of "Forests on the Edge: Housing Development on America's Private Forests." ; A closer look at forests on the edge: future development on private forests in three states. Gen. Tech. 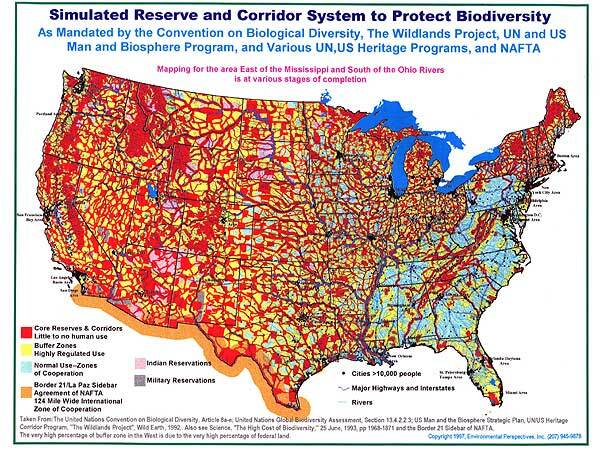 Rep. PNW-GTR-758; National forests on the edge: development pressures on America's national forests and grasslands. Green Economy - A green economy is one that results in improved human well-being and social equity, while significantly reducing environmental risks and ecological scarcities - United Nations Environment Programme (UNEP) (2010). A green economy is a economy or economic development model based on sustainable development and a knowledge of ecological economics. Its most distinguishing feature from prior economic regimes is direct valuation of natural capital and nature's services as having economics value (see TEEB and Bank of Natural Capital) and a full cost accounting regime in which costs externalized onto society via ecosystems are reliably traced back to, and accounted for as liabilities of, the entity that does the harm or neglects an asset. CalTrans Web Site - with links to videos of recorded meetings, agendas, summaries, handouts, and presentations. CA SB 375, the Sustainable Communities and Climate Protection Act of 2008 already requires "sustainable communities." SB 375 instructs the California Air Resources Board (CARB) to set regional emissions reduction targets from passenger vehicles. The Metropolitan Planning Organization [urban areas primarily http://en.wikipedia.org/wiki/Metropolitan_Planning_Organization] for each region must then develop a "Sustainable Communities Strategy" (SCS) that integrates transportation, land-use and housing policies to plan for achievement of the emissions target for their region. California Forward; Transforming government; Making California Work Again: "Smart Government" Restructuring State-Local Relationships - Restructuring, a Fundamental Framework; "Regional coordination"
Smart Growth; Smart Growth America; Smart Growth EPA; EPA Publications; LEED-ND; New Urbanism; Smart Growth CA; The Planning Penalty - O'Toole; O'Toole: Well, California is definitely the worst. Nationwide, I estimate that people paid about $300 to 350 billion in extra costs for housing in 2005 because of the planning penalty. Half of that was in California. 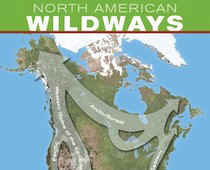 Klamath Corridors - http://www.brunswickme.org/planning/ruralsmartgrowth/rbsg.Final.Report.revised.1.08.04.pdf (very slow download) "Noss (1987), however, argues in favor of corridors by noting that natural systems are far more connected than those heavily shaped by humans. It is with this argument and the abundance of information regarding the perceived benefits of corridors that corridor projects have been proposed around the world. Examples of existing regional wildlife corridor projects in North America include the Klamath Corridors in the Klamath National Forest (Pace 1991), the Rio Grande Wildlife Corridor along approximately 450 miles of that river (Harris and Scheck 1991), and the Yellowstone to Yukon Conservation Initiative (Barker 1997). "The Klamath Corridors Project was developed by the Klamath Forest Alliance, a coalition of grassroot environmental and community organizations located in and around the Klamath Forest on the California/Oregon border. The project is based on the premise that the most effective way to discourage effects of forest fragmentation is to retain or re-establish natural connectivity. The project makes maximum use of existing reserved (public or otherwise protected) land, since these areas tend to be the largest blocks of unfragmented habitat in a region, and uses corridors that consist of entire drainages and ridgelines. "